In this June 2017 photos provided by the National Park Service people work at an archaeological site, found during rehabilitation of a 19th-century ranch house on Santa Rosa Island in Channel Islands National Park off the coast of Southern California. A project to rehabilitate a 19th century ranch house on one of the Channel Islands off Southern California has led to the discovery of another ancient Native American site in the archipelago, the National Park Service said Tuesday. 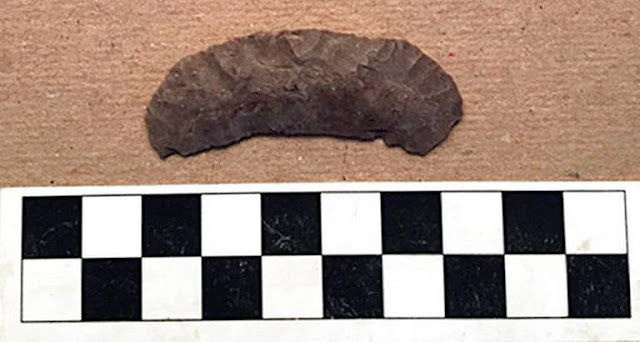 Archaeologists discovered stone tools representative of early North American Paleoindians when the main house at the historic Vail & Vicker Ranch on Santa Rosa Island was lifted for construction of a new foundation. The tools, described as barbed points and crescents, were used for hunting and fishing in the islands, five of which comprise Channel Islands National Park. 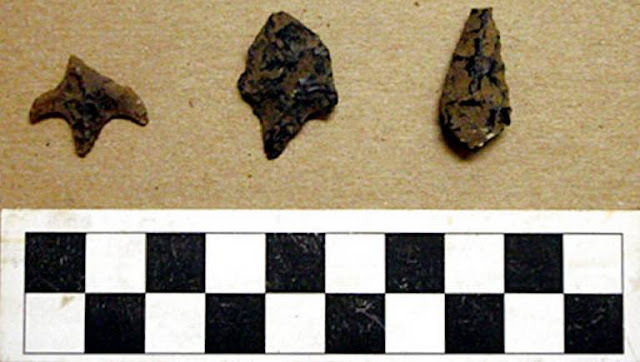 Santa Rosa Island is also the site of the 1959 discovery of the so-called Arlington Man, human remains that were subsequently dated to 13,000 years ago and may be the oldest found in North America. 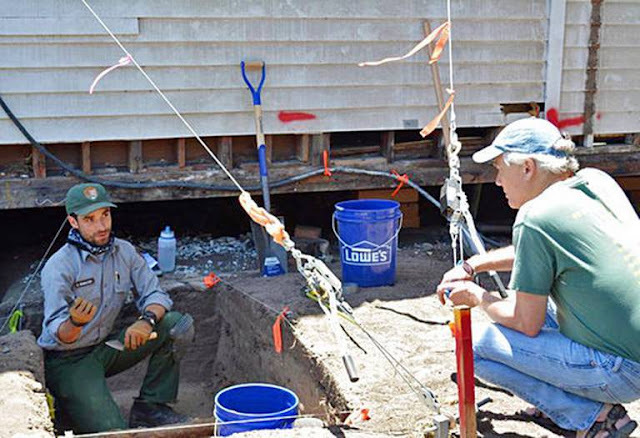 The house where the newly discovered tools were found was constructed sometime after 1869 on a sheep and cattle ranch that operated for more than 150 years. 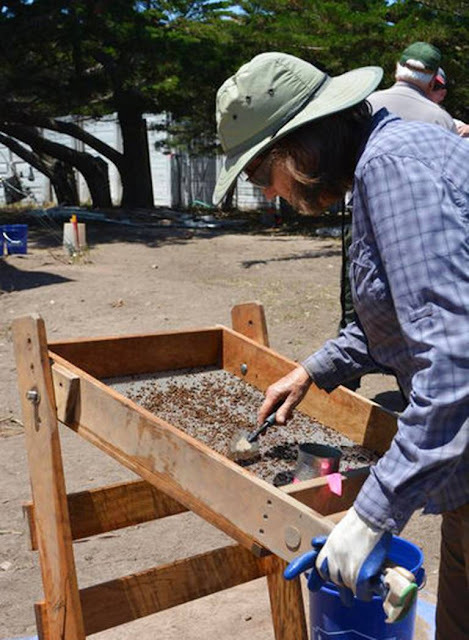 The rehabilitation, which will turn it into island visitor lodging, has been suspended for the archaeological investigation in conjunction with the Chumash people, Native Americans who historically lived along the central and southern coast of California and on several of the Channel Islands. Test excavations are being made near the ranch house to determine the extent of ancient deposits. Channel Islands National Park is headquartered on the mainland in Ventura, about 65 miles (105 kilometers) northwest of downtown Los Angeles. Santa Rosa is the second-largest of the islands, stretching nearly 15 miles (24 kilometers) long and 10 miles (16 kilometers) wide. 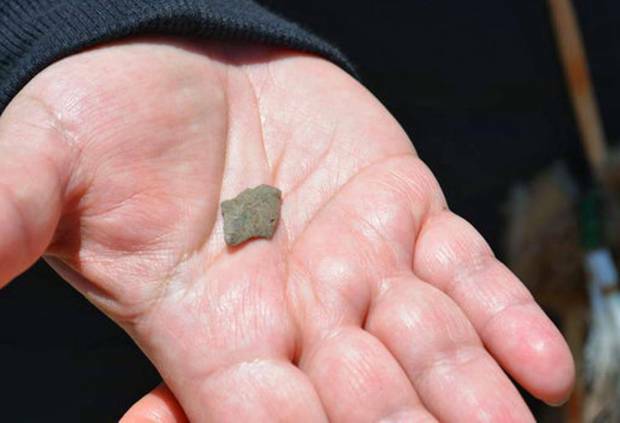 Responses to "‘10,000-year-old’ Native American site found on California island"